Last October we learned the BMW 3 Series Gran Turismo will not be given a redesign based on the all-new 3 Series sedan. The 3 Series wagon is also not returning to the US. BMW is dropping the somewhat funky-looking wagon/hatchback because of weak sales and a continued customer preference towards hot-selling crossovers like the X2 and X3. 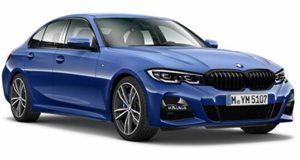 Not only has BMW once again reconfirmed a second-gen 3 Series GT is not happening, but officials also said at a recent earnings report presentation in Germany that there remains "a good level of demand” for the vehicle, according to Reuters. 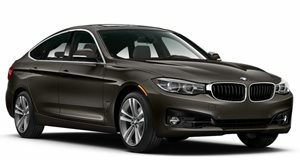 Unfortunately, BMW does not provide separate sales figures for the 3 GT, instead it combines the numbers with the sedan. But it was no secret the 3 GT did not perform quite the way BMW had once hoped for. It was initially designed for those who wanted more space, versatility and a higher seating position over the standard 3 Series, but also weren’t totally sold on a crossover SUV. Generally speaking, the move backfired but this new statement from the automaker does confirm the 3 GT did find a small group of core buyers who appreciated what it had to offer. The exterior styling is clearly its main drawback but it was still a marked improvement over BMW’s first attempt at a sedan turned into a ‘GT’, the truly visually disturbing 5 Series Gran Turismo. Dropping the 3 GT makes complete sense and industry analysts welcomed the move because, as one individual perfectly described it, automakers are not "supermarkets, there is no good reason to sell everything.” BMW is also in the process of cost cutting as it anticipates a difficult 2019 sales year following a 7.9 percent drop in operating profit in 2018. The main reasons for this drop boil down to higher investments in electric cars and currency headwinds. BMW will continue cutting costs wherever possible, meaning if a particular model is not profitable or profitable enough, then it’s a goner.